Fashion and design are all about seeing something new in every day things, re-imagining the world and creating a new vision of reality. No wonder a partnership between Project Runway (going 15 seasons strong this year) and Transitions lenses were such perfect partners. 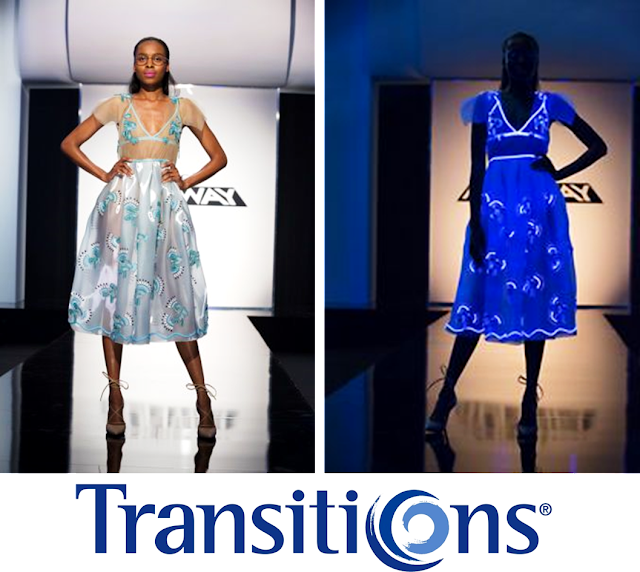 This year Transitions sponsored a challenge early in the season where contests had to create a look that transformed from light to dark. 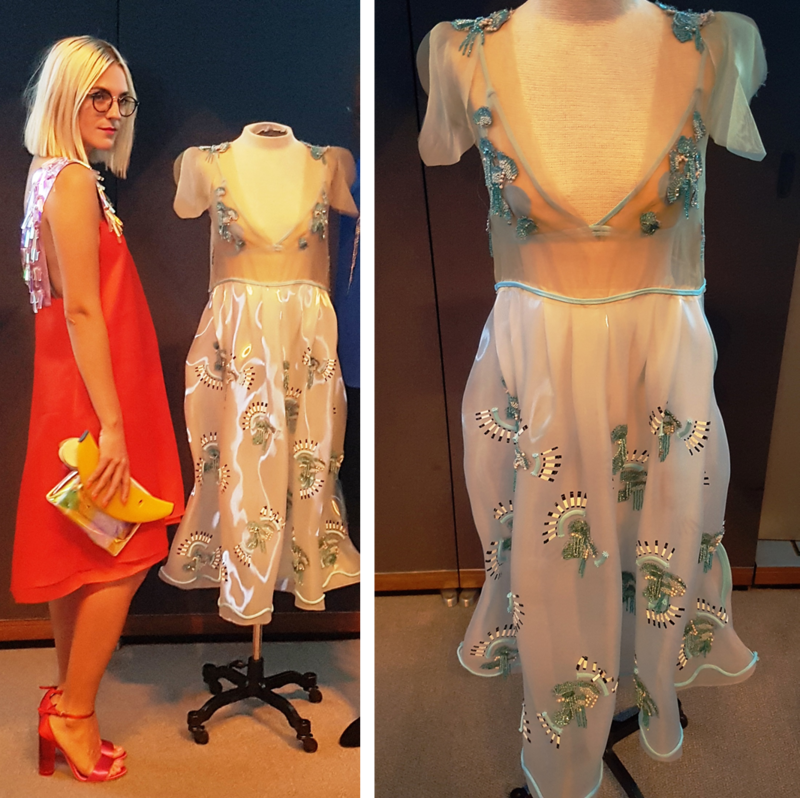 The winner Erin Robertson created a demure pastel dress in baby blue that transformed into a punky neon confection under the blacklight. No surprise her designs have won her a trip to the show's fashion week finale (Part 1 airs December 15 and Part 2 will air on December 22 on Lifetime). Transitions lenses are all about changing your vision of the world too: adapting in changing light levels from clear to shaded to prevent sun damage, squinting and light sensitivity, enhancing contrast vision with color tints in gray, brown, and green, and protecting your eyes from strain and fatigue caused by the high energy blue light coming off computer screens, fluorescent lighting, and digital devices. There were plenty of glasses fashion moments to crush on this season. Erin Robertson led the pack with a statement pair of round mixed-metal frames. And just to cement her throne as eyewear fashionista of the season, she threw in some truly funky hot pink sunglasses at the cocktail party challenge. Let's give some love to contestants Jenni Riccetti and finale contender Roberi Parra for rocking the browbar trend. These frames are perfect to wear as both clear and tinted for a truly versatile fashion statement. Transitions sent optician and Brand Ambassador Sheena Taff of Roberts and Brown Opticians to Project Runway's home base in NYC to see the designs and designers first hand. 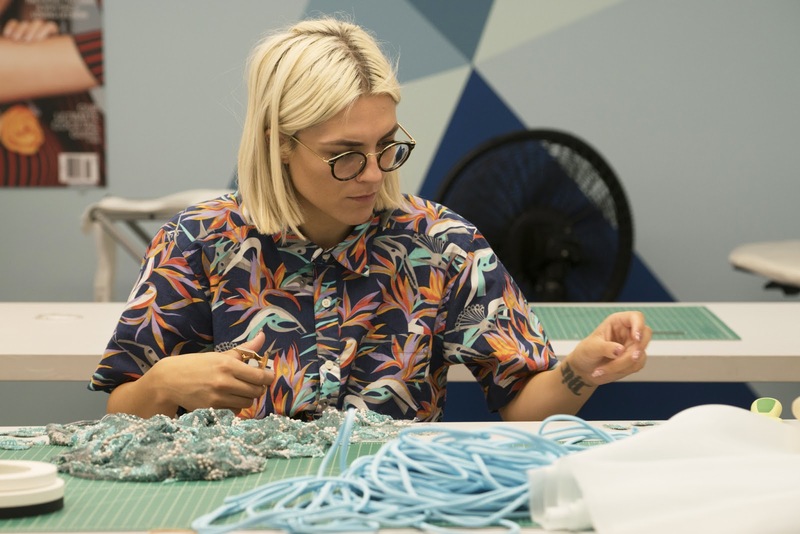 Like the designers on the show, Sheena sees her life as an optician and glasses wearer as an opportunity to bring personality and art into the world. "I believe that having to wear glasses is not a burden but an opportunity to express your personal style. The fashion world has never been so intertwined in the optical industry. Designers both internationally known and independent continue to push the boundaries to create new styles to keep eyeglass wearers building a frame wardrobe that your shoe collection will envy. 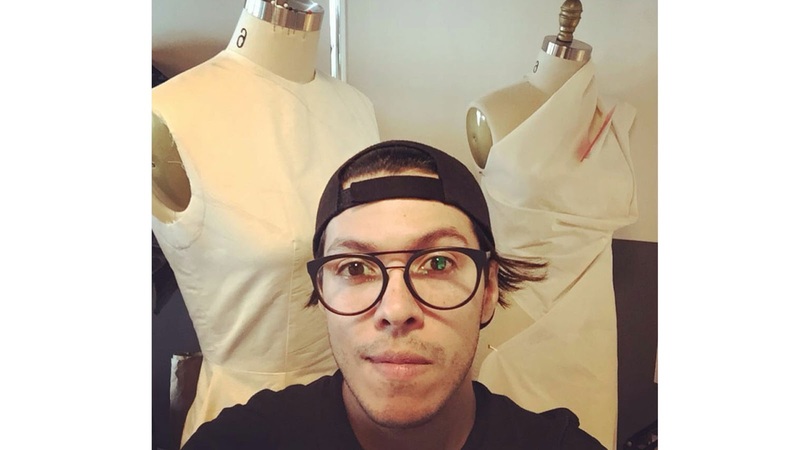 I have the daily pleasure of opening the eyes of eyeglass wearers to the joys of fashion based optical options." 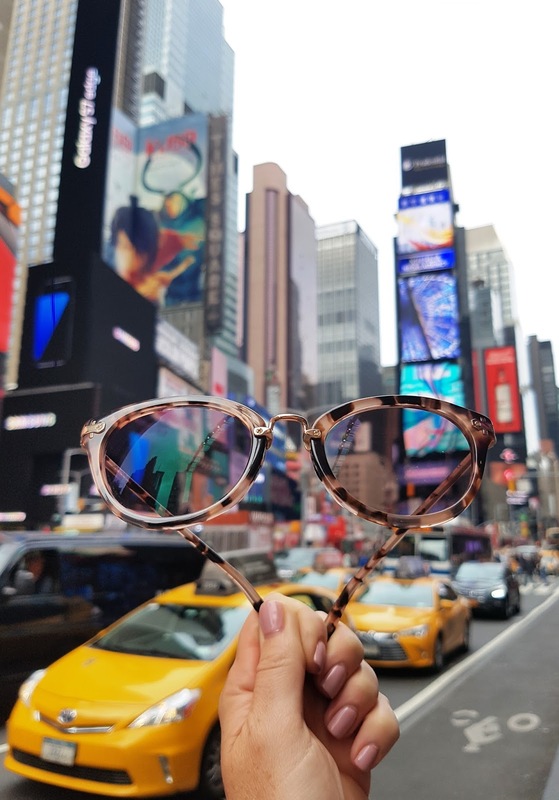 As a brand ambassador for Transitions, Taff felt her mission was to change the sometimes limited views her customers held about the benefits of Transitions lenses. "It struck me that people’s perception of what Transitions lenses are and what they do was often outdated and incorrect. Transitions are such a multi-use product and I feel that this is a selling feature for millennials. Millennials are bred into a culture where everything must do more. Your phone is your camera, is your computer, is your datebook, is your bank (or wallet). Even your high heels and dress shoes have running shoe technology built into them. 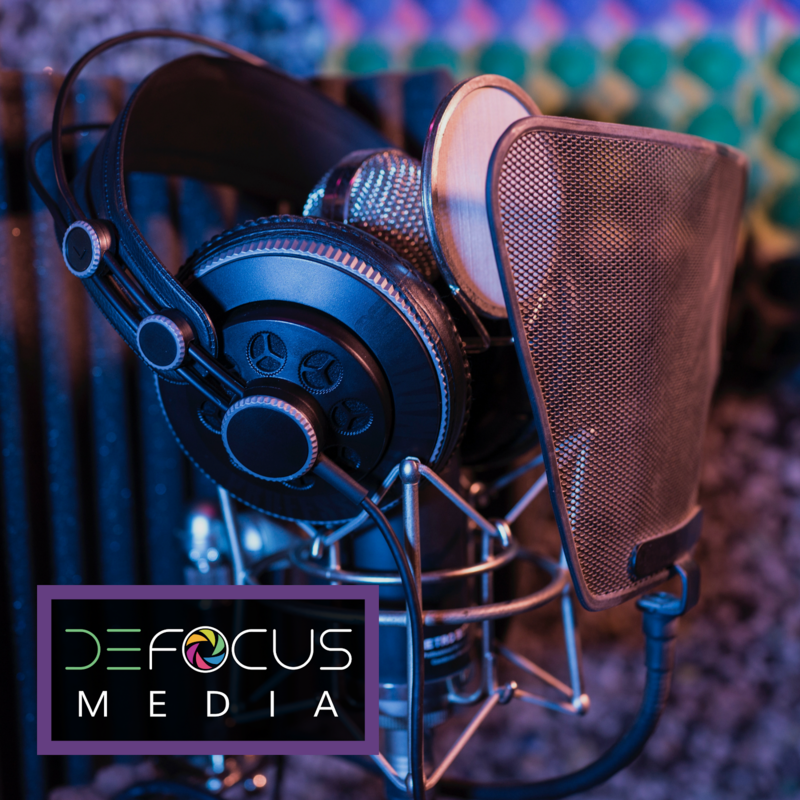 Our culture is not necessarily moving into a view of more is less-- quite the contrary. I think our young consumer-driven society is seeking adaptable products that have increased value with multiple uses, and Transitions lenses certainly check this box with not only comfort characteristics, but health benefits"
When the Transitions episode aired, Taff was one of the brand ambassadors invited to come to NYC for the episode viewing party to celebrate Transitions and help spread the word about the new innovations in lens technology. 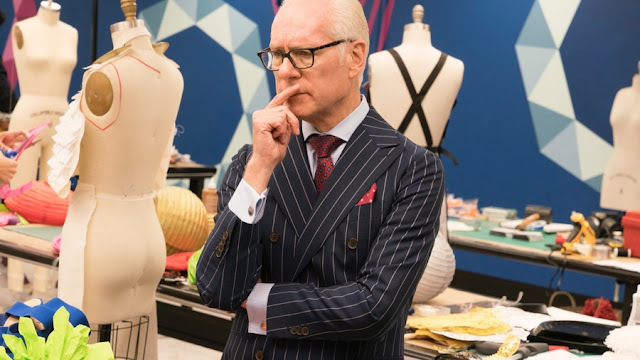 "I am an admitted Project Runway super fan and fashion junkie; my first thought was what would I wear?!" Held at Hearst Tower in NYC, the viewing party was a collaboration between Transitions, Project Runway, and Marie Claire magazine. "It was a surreal feeling to enter the lobby: gone was the hustle and bustle of the day and the ascension to the top floor where the event was held was a giddy solo elevator ride. It was a new experience for me to look down on the streets of NYC from the towering top floor. With a glass of wine in hand and a floor to ceiling window showcasing a clear night, l felt like I was living someone else’s life. A pinch yourself moment. 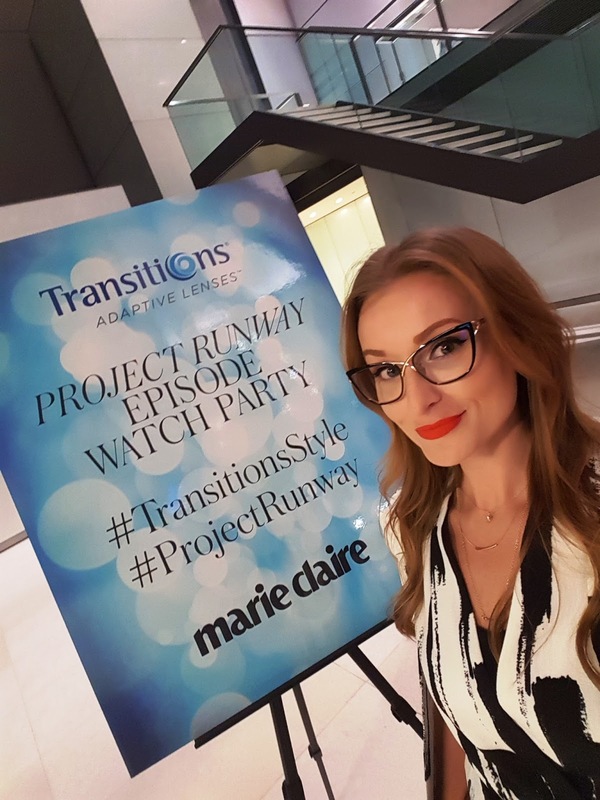 This feeling only became more overwhelming when meeting Project Runway contestant and the Transitions inspired challenge winner Erin Robertson. Erin is kind and humble; you get the impression that she has been propelled into the spotlight and hasn’t lost any of her true self. She even made the dress she was wearing on the night of the event, telling me she felt like she should wear something she made to the event, so she whipped up the dress she was wearing the night before!" "On display was Erin’s winning dress. Out of many designs on Project Runway through the seasons, this dress was a particular pleasure to see in person. On a sheer fabric baby doll dress, Erin had meticulously created her own pattern by cutting and gluing an intricate design out of beaded trimmings, so seeing it up close showed a dimension and intricacy you couldn’t see on TV. 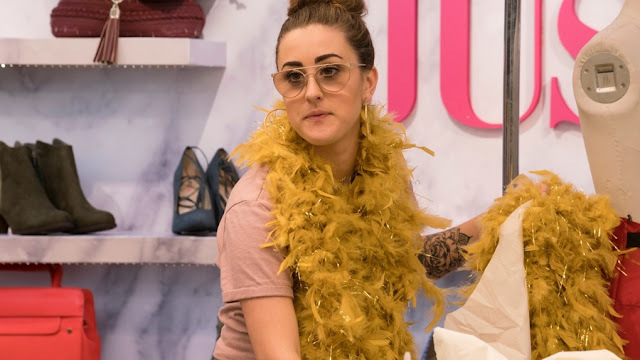 After the episode was shown I had the opportunity to meet Coco and Breezy, twin eyewear designers and Transitions Brand Ambassadors, and try on a few of their fashion forward frames. My evening ended with a stroll through Time Square, past the very landmarks that make New York City so famous." A big congrats to Sheena Taff for being nominated as the 2016 Transitions Brand Ambassador of the year!